Imperial Properties, one of western Canada's leading managers of residential and commercial properties, is pleased to announce that its Maintenance Services division has expanded its services to the firm's properties in Regina, Saskatchewan. Services provided by the division's Regina team include property maintenance and facility services. 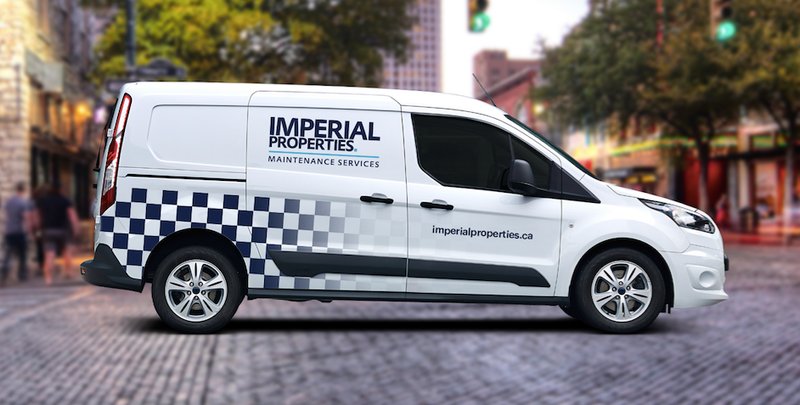 Since its introduction in the Winnipeg market in fall 2016, Imperial Properties' Maintenance Services division has been a successful addition to the company's service offerings, resulting in a reduction in property operating expenses and offering faster response times in situations calling for emergency maintenance service. Fred Faldas will serve as Maintenance Coordinator in the Regina office. His experience includes multiple stints as a residential maintenance technician, handling work orders and interacting with tenants to ensure swift resolution of maintenance issues. Faldas has hands-on experience working with plumbing, electrical, drywall, flooring and painting repairs. "Fred is already proving to be a real asset to our Regina office, and we're all excited about the knowledge and experience he'll bring to his work as Maintenance Coordinator," said Norma Villamayor, operations manager of Imperial Properties. "His experience as a maintenance technician makes him an ideal choice to oversee the maintenance of our Regina properties and ensure our tenants have a positive experience when issues arise." As is the case with Winnipeg's Maintenance Services division, the new Regina division will focus primarily on providing residents and tenants with prompt, professional and effective response to repair and maintenance needs. In addition, the division will handle tenant improvements and assume responsibility for handling projects to prepare properties for incoming tenants. "Imperial Properties is committed to providing our residential and commercial properties with first-rate services, and the Maintenance Services division is a natural extension of what we've long been dedicated to doing," said Villamayor. "We're very excited to be bringing this additional benefit to our Regina properties.